Garmin is known for their GPS units, and cycling head units. Garmin has already proved that it’s 920XT is a competent multi sport watch, covering running and cycling. How do things fair in the pool? 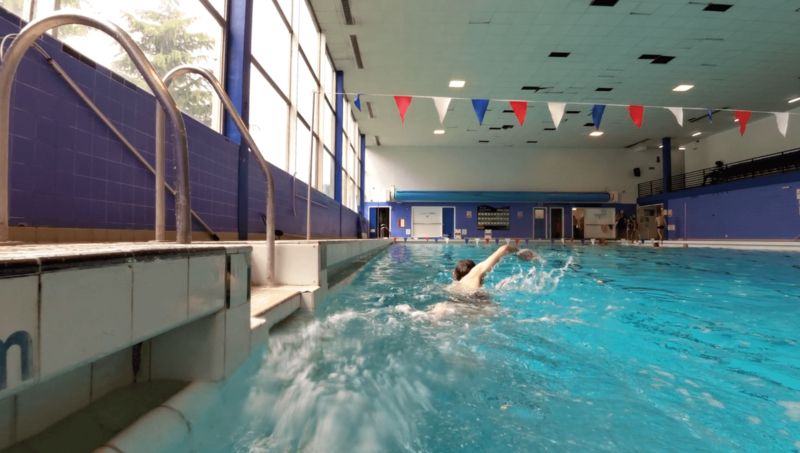 After my injury, swimming has been a difficult form of exercise to get back into, which has severely limited the ability to complete this review. However now that I’m back in the pool, and able to swim for 1km without any major difficulties I thought it time to put the last section of this review to bed! Lots of data, but difficult to photograph in the pool! So you’ve decided you are going to analyse your swim as well, rather than just the distance it takes you to cover the 800m. What metrics does the Garmin 920xt swimming app offer? 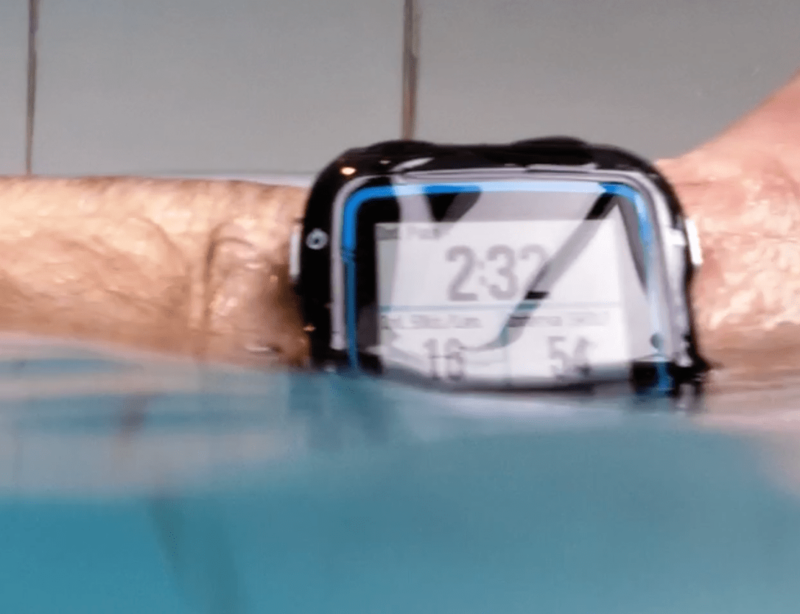 The Garmin 920xt swimming app allows for a choice between indoor and open water swimming. The reason for this being how the watch calculates your swim pace and distance in a body of water without lanes and ends to turn at. You’d think that this would just mean that the watch would use the GPS to determine your speed and course distance. Which is does, BUT in the same way the HR monitor can only beam the ANT+ signal over about 15cm (Hence the benefit of the Wahoo TICKR X having onboard recording for swimming), the GPS cannot receive a signal underwater. Garmin 920xt swimming action means that the watch itself is not often out of the water, well if you are wearing it on your arm. This results in a relatively inaccurate signal for distances, and speed, as the watch is having to create the route from only a few data points, and smooth the differences between them – overall causing about a 10-15% inaccuracy. This is one of the main reasons open water swims tend to be point-to-point, rather than course swims. Unlike the outdoors swim, which is relatively plug and play, the indoor app needs a little bit of setting up. Specifically saying which size of pool you are swimming in so that the watch can calculate total length during a session. For this you can select either standard pool sizes held within the watch, or specific your own – fi for some reason you have come across an oddly sized pool. The indoor swimming function is also prone to slight inaccuracies when using the Garmin 920xt swimming indoors. The reason being here there is no GPS signal allowing you to at least say how long it took you to cover between two points. Indoors, the data calculation is all related to the internal accelerometer. Now dont mistake me. The Garmin 920xt tracks the indoor swimming very well. BUT if you did decide to do a little dance for some reason in the shallow end, this unexpected movement will throw off the data. This goes really for any activity in the pool. If you stop in the middle of a length for any reason, the watch will register the change of movement and assume that you have completed a length. – When you are getting back into swimming following a fractured arm, stopping occasionally is a frequent occurrence. So you quickly learn to only stop at the ends of a length if possible. Regrettably there is no way to edit this data, such as extra length counts etc. We know that the 920XT is a strong contender when it comes to triathlon watches generally. However the swim features seem to be the weakest area of the watch. Now actually I dont think that’s a fair statement as the rest of the watch is so strong! PLUS there are only so many ways to monitor how a person is swimming, and the use of the accelerometer in the watch does it very effectively. perhaps to get the most out of the swimming features, you have to be committed. Giving strong pushes off the wall. Strong strokes, and importantly no faffing around at the end of a set, unless you have pressed “pause” of course. As with any of the Garmin 920XT activities, you get a good summary at the end from the watch. Personally I have found this a bit of a turning point in itself for how I consider swimming. Normally its just been “that other part of the triathlon” and was based on the stop watch alone. The extra data with regard to stroke rate and more importantly SWOLF – a “score” created by Garmin to assess your pool length swim, has really helped to think about my swimming in a different way. Just a little more about this, as I was completely unaware of it before using the Garmin 920xt swimming. Simply the watch adds the number of strokes it takes you to complete a length, to the time it took you to complete a length – e.g. 30secs for one length, needing 15 stroke = 45 SWOLF. Like many things in races and timed sports. The lower the SWOLF the better! Its merely another piece of data, but again, thats never been a problem before!